It’s a new year and we’re excited to show you all of our new, exciting products. From cozy, transitional sofas to a counter table that’s perfect for spills, we have a range of beautiful and functional products. Stephanie Birchenough and Brian Bechard, our Visual Merchandisers, give us their thoughts and a full review of a selection of their favorite new products. The Westport Sofa starts at $1,839 and is a transitional, tight-back sofa. The Murphey Swivel, a perfect pairing with the Westport Sofa, starts at $1,199 and is a comfortable, deep swivel. The Infinite Exeter Table, starting at $2,645, stands apart from most extension tables because it’s a glass-top with a modern look. The Tilda is a new sofa in our Cambridge Collection. It starts at $2,939 and is available as a wedge, sofa, sleeper, and comes with a storage bumper chaise option. The Fayerweather swivel, starting at $889, is a unique barrel swivel with a transitional, contemporary feel. The Hangover sofa, my personal favorite of our new-in products, is a design by Thayer Coggin. Starting at $9,099, it’s a large sofa and not the choice for those with a small space. The Harrison Counter Table, at $1,129, is the perfect counter table if you don’t want to worry about spills and stains. It’s a transitional style so it’s “great for anyone” and can easily fit into any home décor. The tight back makes it perfect for those who don’t want to fix or fuss with cushions. It’s shown in an apartment size with Crypton fabric, a great option for a smaller family room. The Westport is a versatile and comfortable sofa so it would suit most people’s needs. However, it’s not available as a sleeper and it does have a clean style, so it’s not for you if you prefer a more traditional sofa. Because it’s a petite swivel, it’s best to try it out in person and see if it’s the right fit for you. Currently, the Murphey is only currently being shown in our Middleton, Cambridge, and Boston showrooms. But call your local showroom to see if it’s in because we’re constantly rotating products. The easy extension is the most impressive feature of this table, the butterfly leaf mechanism opens and closes with minimal effort. The glass top is tempered and has a matte etched effect which makes it extremely durable, anti-glare, and anti-fingerprint. No need to be afraid of putting hot plates down on this table! The most obvious point is that it’s a contemporary, clean look so you have to love the style. It’s also a better option for hardwood or concrete floors as it doesn’t go well on a carpet. Finally, the top when it’s extended is split, so although it’s an even surface it’s important to love the look when it’s open and closed. Brian says of the sofa, “It’s a great sofa for a family. It’s clean-lined with a track arm and a transitional style.” And it’s on the smaller side for a sectional so it won’t overwhelm a small living room. It’s a traditional sleeper system which makes it more affordable, but it doesn’t rival the support of a more advanced sleeper like American Leather Comfort Sleeper. The Fayerweather Swivel features fun tufting accents and it has a low back so it’s great for keeping a smaller space open. As long as you love the style, the Fayerweather is for everyone! By changing the fabric to something a little more traditional or contemporary you can really tailor the look to fit effortlessly in your space. It’s only available as a sectional, but it can be taken apart and reconfigured. True to the Thayer Coggin style, it has a Mid-Century Modern feeling, with clean lines, thick deep cushions, and a low profile. The base comes in several metal finishes and it’s available in both fabric and leather. Because it’s a Thayer Coggin, you’re making an investment for a classic, timeless design from a world-renowned designer. But it is an investment. “It’s not for someone on a budget,” Brian explains. It has a non-porous porcelain top and metal legs that come in a variety of different finishes. Stephanie says, “If you spill red wine, you can easily clean it. It’s great for the kitchen. It wears well and you don’t have to use a tablecloth. And you won’t want to with the gorgeous, unique veining.” The non-porous porcelain is sturdy, scratch-resistant, and capable of withstanding heat from hot pots and pans. Brian says, “It’s a little contemporary, and it’s not a great option for small kids because it has that hard glass edge.” The texture of the top is something you may want to feel in person as it’s unique and you’ll either love it or not. We’re constantly bringing in new, exciting products into our showrooms. To check out our selection and escape from the cold, come into any of our 6 showrooms across Massachusetts. Haven’t visited yet? 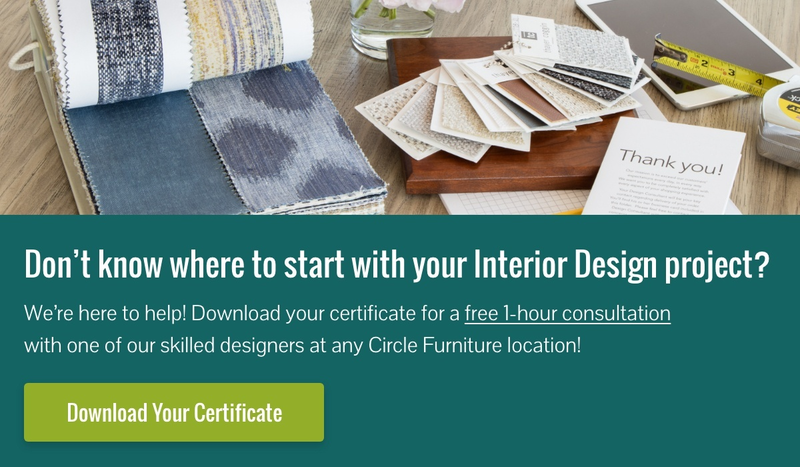 Take a virtual tour of our showrooms and meet our designers!